You are browsing the Blog for blogging. [Please note: This blog post is a preview of the interview to be published soon on the Alumniportal Deutschland (APD) – subject to further editing]. Last week saw ‘re:publica 2012’ in Berlin, Germany’s largerst conference on blogging, social online networking and internet community. This years edition went global and put Africa on the map of social media. One of the speakers from the continent was Markos Lemma, an Ethiopian blogger, GIZ alumnus and innovation project coordinator for GIZ’s labour-market education programme in Ethiopia (former ecbp). 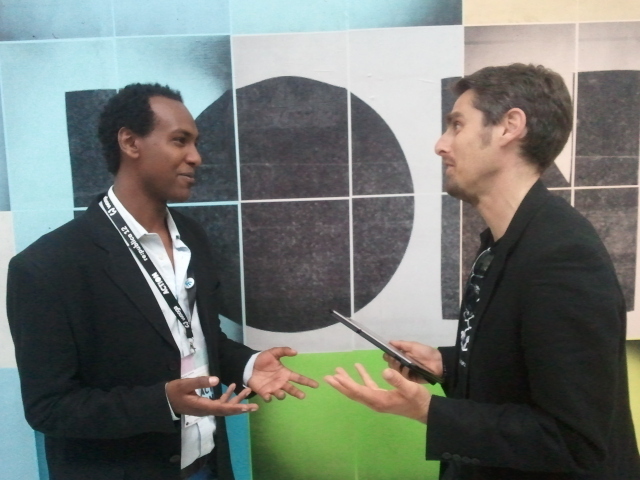 In this interview first published on the Alumniportal Deutschland, Markos gives us his reasons to be a blogger in Ethiopia, reports on the latest developments of the blogging scene in his country and tells why he is betting on social media to tackle protracted development challenges in his country. He also gives us his vision for knowledge sharing within German international corporation programmes. Markos is blogging both on the Internet and on the Alumniportal Deutschland (APD). APD: When did you write your first blog and why ?